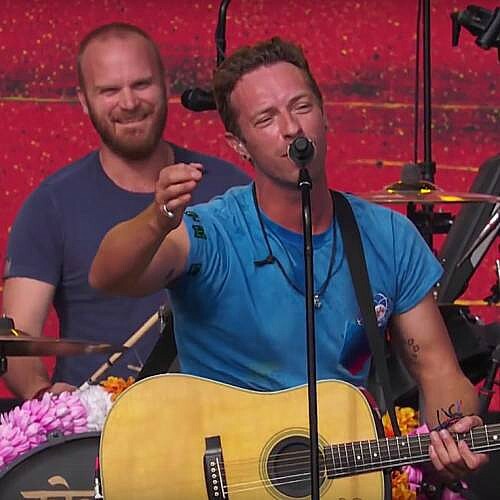 Coldplay have announced that the second single from their acclaimed new album, A Head Full Of Dreams, will be the rocket-powered Hymn For The Weekend. The single's video premiered today and features a guest appearance from Beyoncé (who adds dream-like vocals to the track). Watch it now below. A Head Full Of Dreams is Coldplay's seventh album. Since its December release, the album has reached Number One on iTunes in more than 90 countries and sold over 3 million copies. It has also helped Coldplay to their current position as Spotify's most-streamed band in the world. Hymn For The Weekend is the follow-up to the album's first single, Adventure Of A Lifetime, which became Coldplay's 21st UK Top 40 hit, staying in the Top 10 for six weeks and topping the UK radio airplay charts. Coldplay will then tour extensively in 2016 in support of A Head Full Of Dreams. The band have already announced a run of stadium shows in Latin America and Europe (including four nights at London's Wembley Stadium). Yesterday, they also confirmed dates for their first ever U.S. stadium tour, with tickets on sale on Friday, 5 February.